Gorgeous watch. Get compliments all the time. Would recommend. Looks great on my wrist and it’s the perfect size. 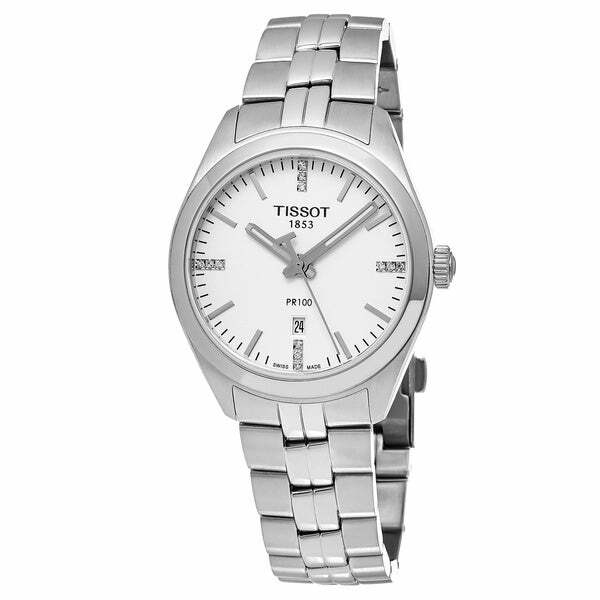 Tissot is a world leader when it comes to advanced technologies and fashion forward styles. Using innovative materials since 1863. This men's watch from the PR 100 collection features a stainless steel bracelet and dial. Beautiful watch for the price. I have only worn it a couple of times, but have received numerous compliments on it. Simple and classy. Able to dress up or down.